Are Fishnets Making a Comeback? Are fishnet tights making a comeback? 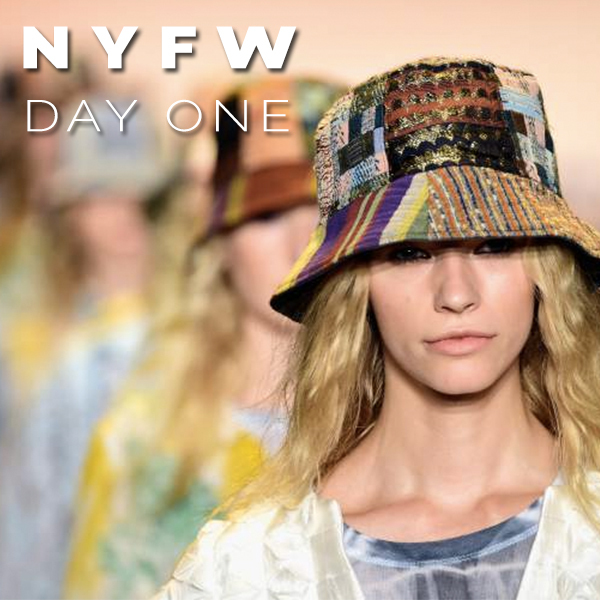 Have bucket hats crossed over from ironically tacky to actually fashionable? Will we ever tire of the 70s? How many designers are going to reference Cuba as an inspiration? Let's look to the best shows and collections from the first day and see if we can definitively answer these questions by the week's end. 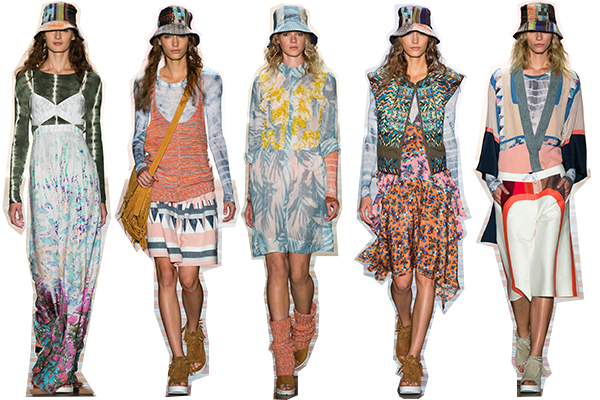 BCBG went full-on California hippie surfer girl for Spring. Tie dye, palm tree prints, baja ponchos, and lightweight knits in pastel colors dominated the runway in this explosion of cool girl tropes. On the runway these clothes are perfectly eclectic, but it will be interesting to see how they translate to real life. Bucket hats, though? Really? Let's save those for fishing trips and Urban Outfitters catalogues. 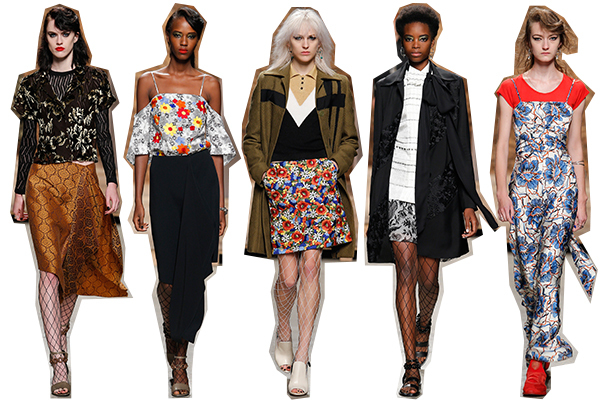 Creatures of the Wind is the ultimate in eclectic cool girl style. Mixing pop floral prints, brocades, and fishnets, the CotW girl has a lot going on and isn't afraid to show off her unique take on fashion. The rich palette of reds, olives, and golds gives for a decidedly autumnal feel for a spring show, but I'm vibing it. 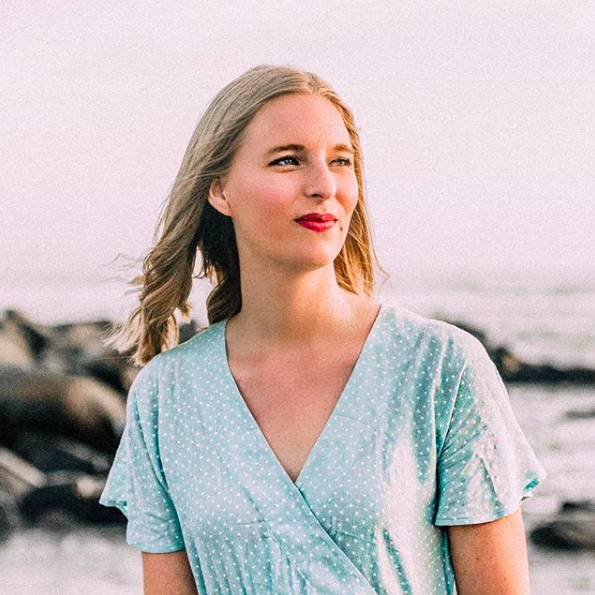 If I had a dollar for every time a fashion writer predicted Cuba would be a huge source of inspiration this season, I'd probably be able to buy Cuba. Halston Heritage always harkens back to the 70s heyday of the disco party brand, and for Spring 2016 HH went totally Havana Nights with an incredibly fun collection. Glam party girls and disco divas will flock to the fun maxi dresses and jumpsuits in springy peach tones, and a Bianca Jagger-style suit will have fashionistas begging for Studio 54 to re-open its doors. Tomas Maier has become one of my favorite designers as of late. He certainly knows how to make fashion fun, but he also makes his exciting pieces extremely wearable. Whether that's by pairing a bandeau with a midi skirt and cardigan or bringing a slip dress into the daytime with sandals and a straw hat, Maier provides inventive new takes on old classics. What were your favorite shows from Day One of NYFW? Is This the New TV Fashion Obsession?